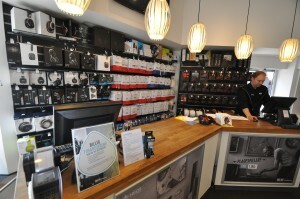 rodeasdown.com.au – Yuletide stitch ups – or what to watch for when buying hi fi. It’s the season to be jolly. And there are certain salespeople out there who get their jollies by stitching their customers up. I thought I’d heard them all and then along came the delicious story of the sales guy who told his customer he could prove a Dolby Atmos soundbar was as good as the real thing, and cued a movie track of an exploding warehouse. “Listen to the glass falling around you,” he said. She was gobsmacked. She heard glass falling onto her head. So she asked the guy to play it again, except this time she caught him red-handed tinkling his keys above her head. There are lots of things to watch out for in the Yuletide rush. Take bargain basement televisions. These are frequently demonstrated with animations and if you know your movies you’ll pick them as animations that were produced digitally from start to finish. These make any screen look great, even the standard definition ones costing less than $100. And if you ask to see how a screen handles broadcast television make sure it’s really being broadcast, rather than a high-def, digitally enhanced and upscaled recording of yesterday’s program or a Blu-ray of a current television show. If one television is noticeably brighter than others it’s probably because they want you to buy it, so they’ve maxed its brightness and toned down the ones around it. When you ask to listen to the sound make sure you’re listening to the television and not the soundbar under it. Beware of audio equipment demonstrated with unaccompanied guitar music. No disrespect to Tommy Emmanuel, Slava Grigoryan or (hush) Andres Segovia, but unaccompanied guitar is to audio what digital animation is to screens; it’s great on anything. 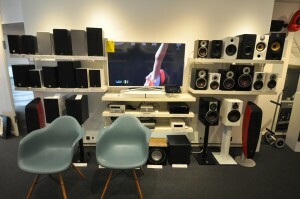 Bass is always a big seller with both music and movie systems and if a speaker seems to be creating a lot of powerful bass, bass out of all proportion with its size, investigate what’s actually playing. It’s often impossible to pick where deep bass notes are coming from and a subwoofer may have been wired into the system to add the kind of kick that little speakers simply can’t achieve. If there’s a sub nearby put your hand on it to see if it’s vibrating. But the most important advice I can offer is to check prices before buying. By far the most common stitch-up I’ve seen, and I see it all the time, is pricing above the recommended retail listed on the product’s Australian website. In a major retail chain I recently spotted a DVD player marked down from $125 to $105. The RRP was $94. I was once offered a digital-to-analogue converter, RRP $549, for $920, but if I bought it then and there he offered to knock $100 off that $920 price. What can you do? Shop at places with the best reputations. Read the online reviews avoiding the big raves and the big whinges, which may be fake. Do your homework. Most of all exercise eternal vigilance. And if your main purchase is genuinely discounted watch the prices of the extras; they’ll likely be at full tilt. First published on smh.com.au December 2018. Bi-amping and bi-wiring: Just buy wire.